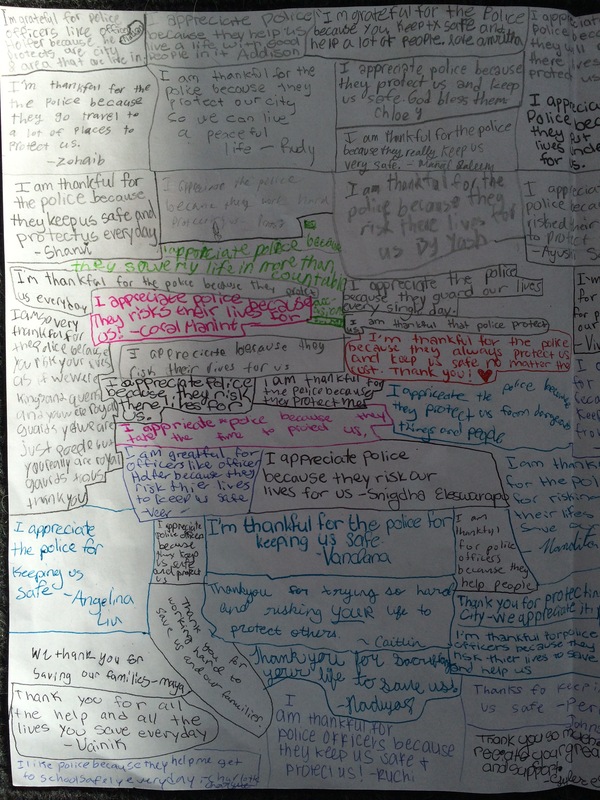 Ok, this is going to require some zooming and scrolling, but all the amazing messages of support from the 5th graders of McSpedden Elementary are well worth it. Thank you, students, for keeping David, our family and all of your officers in your heart. And, thank you McSpedden Elementary for helping to instill the importance of honoring our officers and acknowledging the tremendous sacrifices and hardships that the job requires. 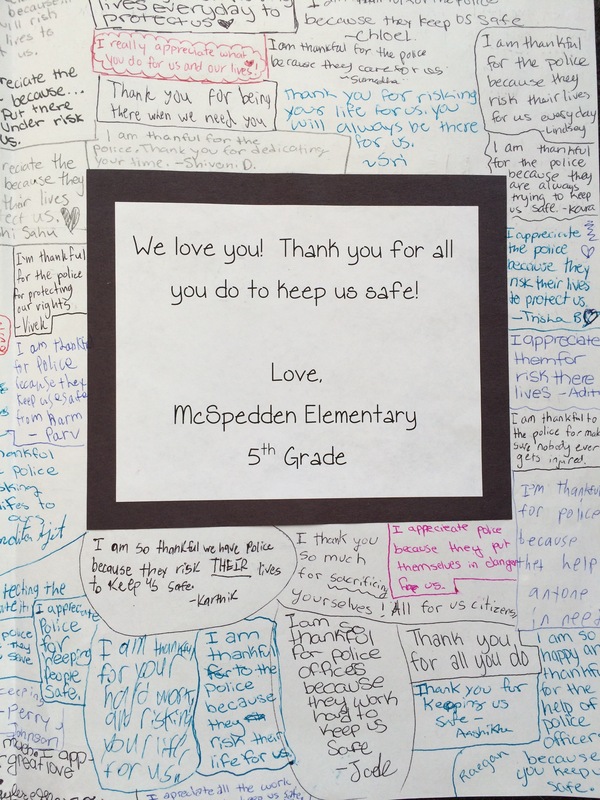 All of the teachers and students at McSpedden felt this loss, and wanted to find a way to show our appreciation. For Dave, and for all of the officers that put their lives on the line each day to protect our safety. Though I didn’t know Dave well, his generosity, his energetic spirit, and his love of the job will always be prominent in my mind. Our hearts, our thoughts and our prayers are always with you all. 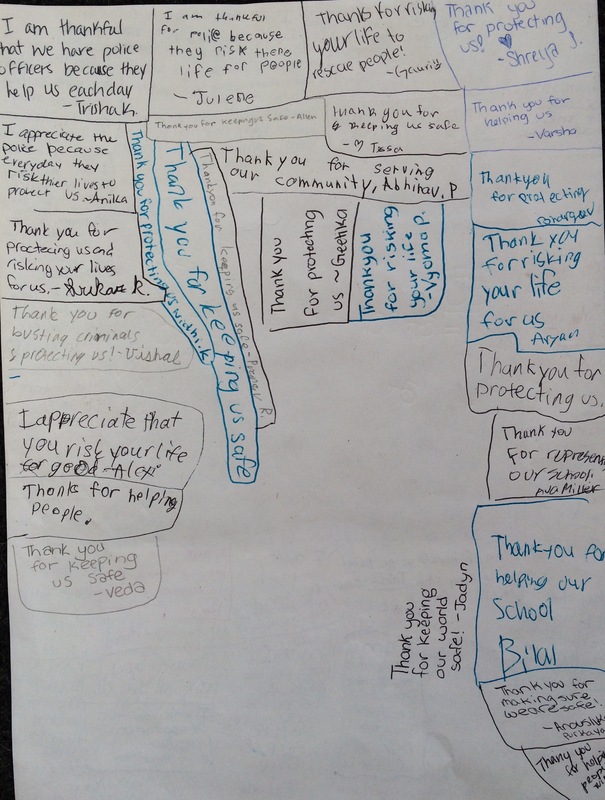 These tributes are so meaningful; and the authenticity and simplicity of the kids’ messages especially. 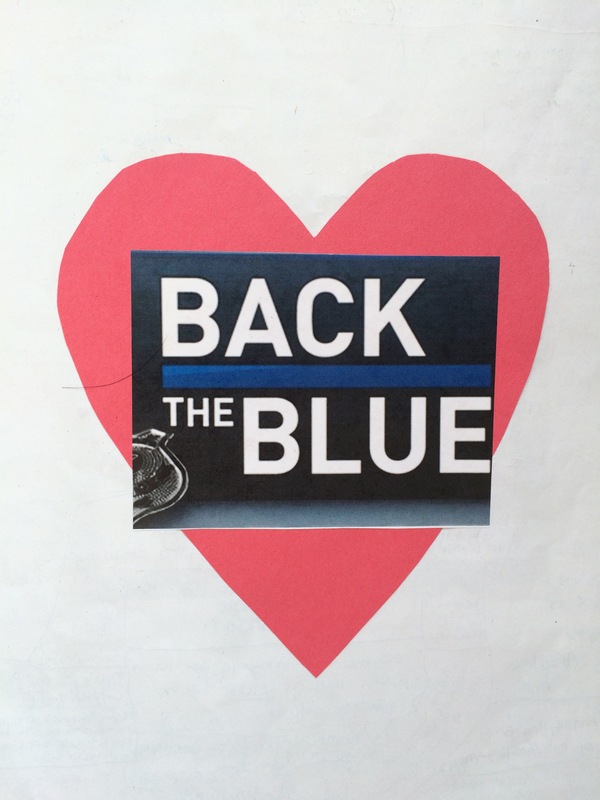 Thank you for all you do to teach out kids the importance and value of our officers.